The USB system and part of the Micro soft smartphone software amphibious endoscope has waterproof design, can be widely used in the inspection of the motor vehicle maintenance, sewer detection, security search and rescue, forensic customs, archaeological detection, industrial lines video inspection, aerospace, car shipping, oil drilling, metallurgy, boiler, railway Bridges, tunnels, buildings, municipal, etc in various fields have been widely used. Android mobile phone have OTG software and PC have Window software. Micro Type-C USB 2.0 Endoscopy is a new type of electronic products. This product advantages: small size, light weight, . It can adjust the brightness of the six LED lights, computer can directly take connection by OTG with some phones link (support OTG), can take photos, videos, record the entire process of examination, convenient observation and analysis of follow-up. Open my computer, and double click pictures into the interface. With android and support OTG phone connection and then click the pictures and videos. Android mobile phone have OTG softwareand PC have Window software . 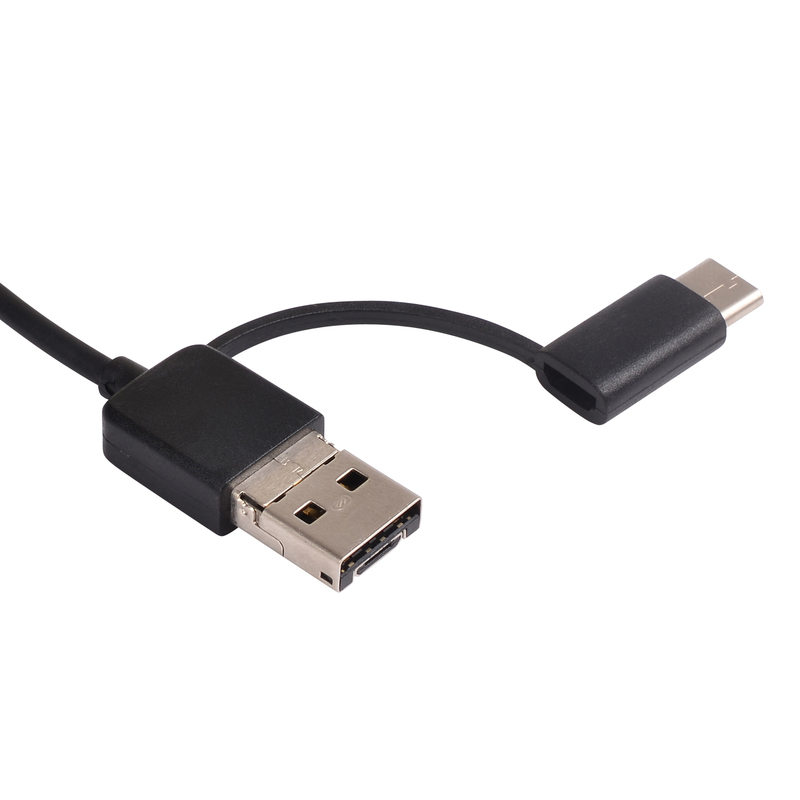 Micro Type-C USB2.0 Endoscopy is a new type of electronic products. This product advantages: small size, light weight, . It can adjust the brightness of the six LED lights, computer can directly take connection by OTG with some phones link (support OTG), can take photos, videos, record the entire process of examination, convenient observation and analysis of follow-up. The USB system and part of the Microsoft smartphone software amphibious endoscope has waterproof design, can be widely used in the inspection of the motor vehicle maintenance, sewer detection, security search and rescue, forensic customs, archaeological detection, industrial lines video inspection, aerospace, car shipping, oil drilling, metallurgy, boiler, railway Bridges, tunnels, buildings, municipal, etc in various fields have been widely used .